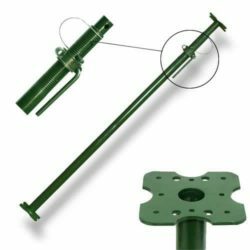 Our staircase scaffolds are alloy access towers specifically designed for use in stairways, to provide a safe and secure means of access whilst working at a height. Essentially, these are scaffolds for steps! 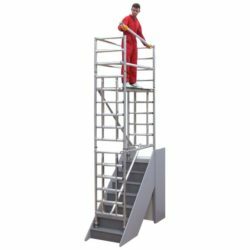 These scaffold towers are simple to assemble and come supplied with everything you need, including the safety handrail, working platform, safety toe boards, stabilisers and adjustable locking; so they are a convenient and practical solution to your access problems, without compromising safety and security. Note: Our stairway scaffold tower is measured from the bottom step to the maximum platform deck height of 2M.